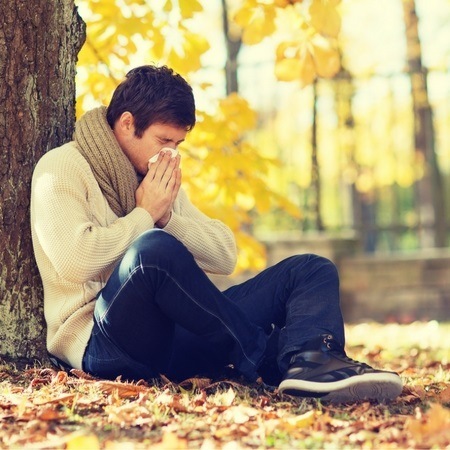 » Can Allergies Cause Coughing? Allergies are common health concerns worldwide. They may trigger many complications. What could be possible causes of coughing? It probably isn’t a simple speck of dust. The main cause of pathogen-induced coughing is, however, a secondary effect of the infection itself. It is this excess of mucus which triggers coughing when its volume starts to prevent the air from reaching the lungs. Coughing is categorized by the general public in two types:“wet” and “dry”. The first is accompanied by an abundant production of mucus, which usually indicates an infection of the lower respiratory tract. These infections are usually viral in nature and mostly disappear within two or three weeks, along with the coughing. They can last from 3 to 8 weeks,​ depending on whether or not the individual undergoes treatment. Some causes of this are long-term infections that, even after disappearing, leave some parts of the body hypersensitive and continue to cause coughing fits for a longer period of time​. Chronic coughing is also a condition that may cause coughing fits for months or years at a time. Allergy: what it is and how it affects us? The genetic cause of this misled immune reaction is still unknown, but the higher rates of allergies have indicated that genetics is no longer the only cause. In the other hand, early exposure to certain bacteria can trigger an early immune response and predispose the body to develop allergies. For most adults, having an allergy is hard in the sense that it limits an individual’s activities in some manner. Should we be scared of allergies? Around 200,000 people visit the hospital yearly at the United States due to their disease, and around 10,000 of them are required to be hospitalized for the same reason. Allergy related mortality is unknown so far. However, there seems to be a higher incidence of deaths among medicine related allergies, and also among African-American and elderly people who live in poverty or in overall poor conditions. Among them are hay fever, asthma, and nasal allergies, which affect 10% of children under 18. Food allergies affected 5% of children under 5 years old and 4% of older children and adults. However, there was a tendency of growth among the amount of people affected by this illness, becoming the 5th leading chronic disease in adults, and the 3rd for children under 18 as of 2015​. In Canada, it is estimated that 12% of children and 8% of adults have asthma, making a total of 2.5 million Canadians. How do you know you have allergies or not? Only a general physician or an Allergy expert can properly diagnose an allergy. There are several kinds of tests that allow not only the diagnosis of an allergic reaction but also that identify the pathogen causing it. ​The most common method is the skin prick testing. This method consists in exposing the dermis and dropping a small liquid that contains allergenic substances in it. If positive, a red bump will appear on the drop that causes it. For more specific allergies, however, a blood test can offer more accurate results​. ​In a case of food allergies, cutting some foods and then observing the results can offer a reliable diagnosis as well. Relation between coughing and allergies: can allergies cause coughing? An allergic reaction happens at the molecular level in the body. First, an immune response is triggered by an allergen, a stage called sensitization. During this stage, special immune cells surrounding the mucous membrane around the nose, throat, and lungs engulf the substance, be it pollen, hairs or food particles. Although coughing is a response designed to clear the airways, since it is the throat muscles that block it then there’s a high chance that coughing does not help to clear the air passageways.